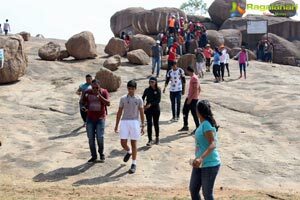 The 6th edition of the Hyderabad Rockathon organized jointly by the Society to Save Rocks & the Great Hyderabad Adventure Club, sponsored by the Telangana Tourism was yet again a hit with 500 enthusiastic rock lovers, Nature enthusiasts and adventure buffs of the city. 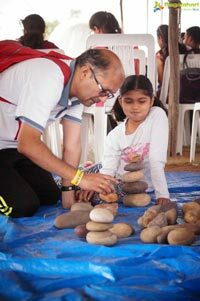 The event also saw increased participants from youngsters and kids alike. 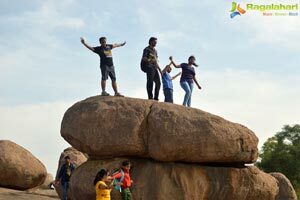 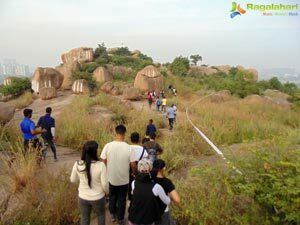 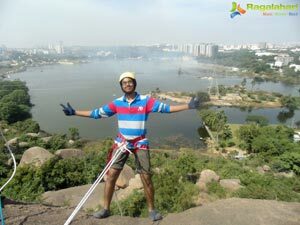 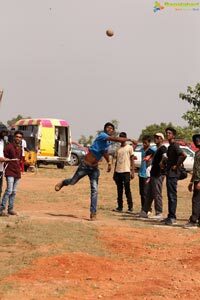 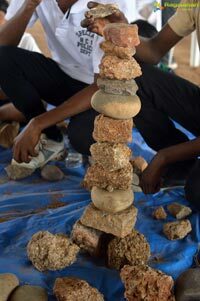 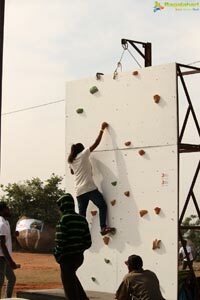 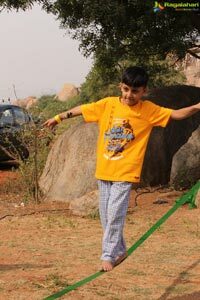 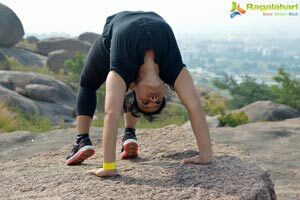 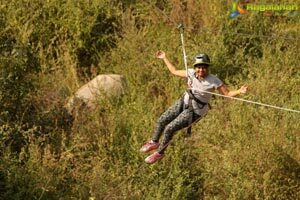 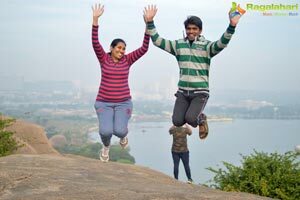 This years venue, the rockscapes at Khajjaguda, near Gachibowli provided the perfect ambience for all the rocky escapades – rappelling, ziplining, bouldering, rock climbing, trail biking and the chilled out fun activities that included passing the rock, rock shotput, rock installations and the educative rock quiz. 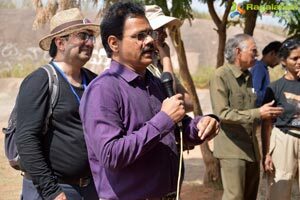 The event was graced by Mr. B. Venkatesam, IAS. 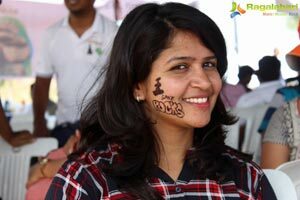 Secretary, Telangana Tourism who was the chief guest. 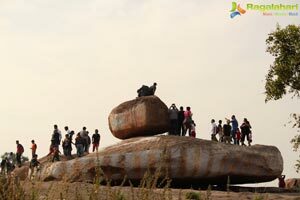 Mr. Venkatesam was appreciative of the efforts to create awareness and suggested that such events be not restricted to khajaguda but also be conducted in other very beautiful rockspaces that are unique to city of Hyderabad. 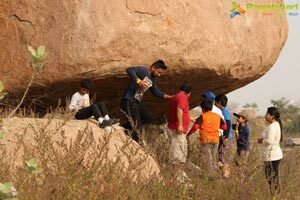 The morning began with early risers setting off on rock walks to explore the typical Deccan terrain that the Society to Save Rocks has worked tirelessly to conserve for two decades. 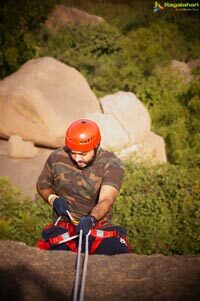 As was expected the rappelling and ziplining created it’s magic by attracting nervous first timers and seasoned climbers. 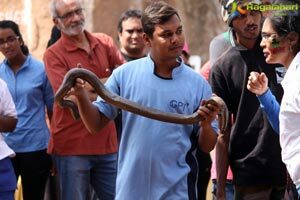 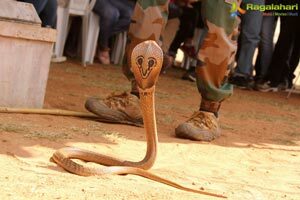 The Snake show by Friends of Snakes and the Magic show by hearing impaired Artist Ravi Chandra captured the attention of the sporty audience. 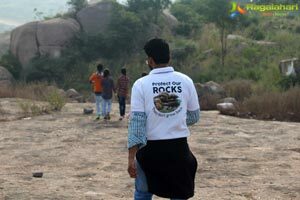 The Society actively spreads awareness of the 2500 million year old rocks and has managed to work with the Government to list 25 rock sites in and around the city as Heritage Precincts, one such protected site being Khajaguda home to an ancient temple, mosque and the historic Meher Baba cave. 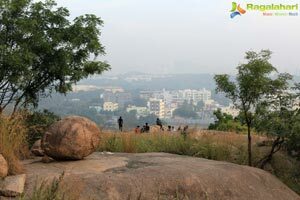 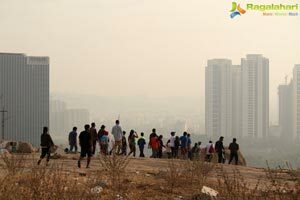 Rocksites are crucial providing lung space in a city that is turning into a concrete jungle. 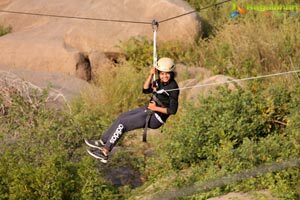 World wide adventure sports are considered one of the best tools to build life skills like courage, concentration, adaptability and creative thinking. 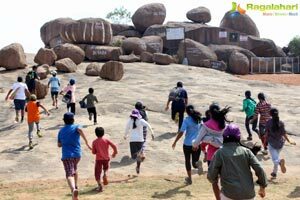 Be it for fitness, adventure, entertainment or simple openness – rocksites need to be conserved for the next generation to enjoy. 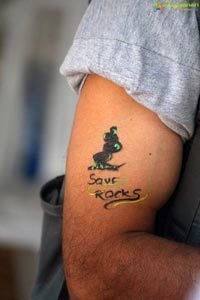 The Rockathon was only a sample of this and individuals genuinely concerned for the environment are invited to join the movement for protection. 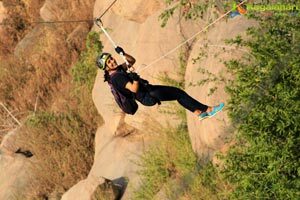 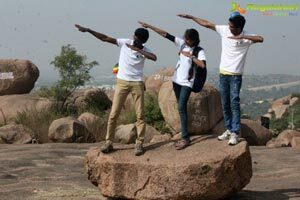 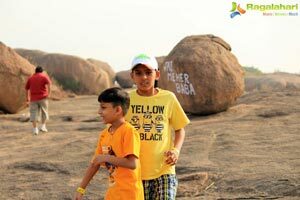 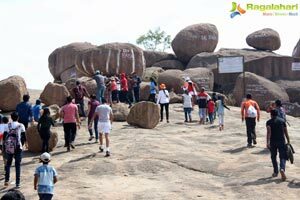 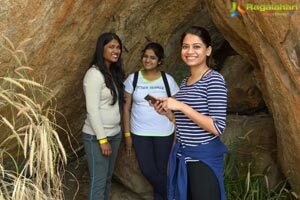 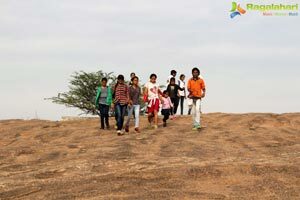 The Great Hyderabad Adventure Club with a membership of 27000 members regularly conducts adventure and outdoor activities at the different rockscapes and hillocks around the city of Hyderabad and attracts good participation every weekend. 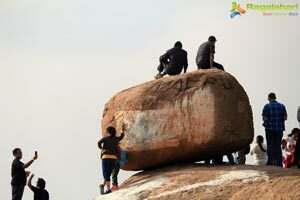 The sport of bouldering has witnessed a growth over the past few years. 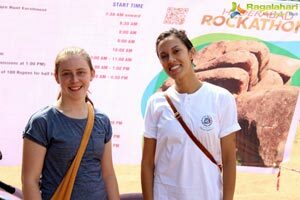 The sport of speed climbing on artificial rock climbing walls will be part of Asian games in 2020 and will see more youngsters take up the sport. 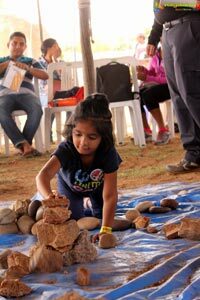 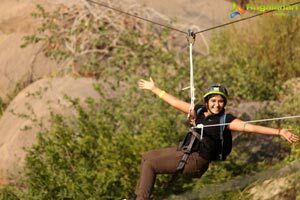 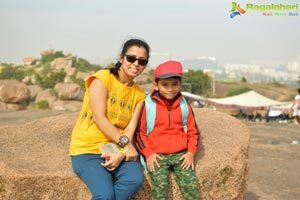 Diyanat Ali, Founder and Director, Great Hyderabad Adventure Club said, the event saw many kids and youngsters having a wonderful time in the rocky outdoors.